AUREA, a native of Syria who was appointed Abbess of St. Martial in Paris by St. Eligius (1st December). 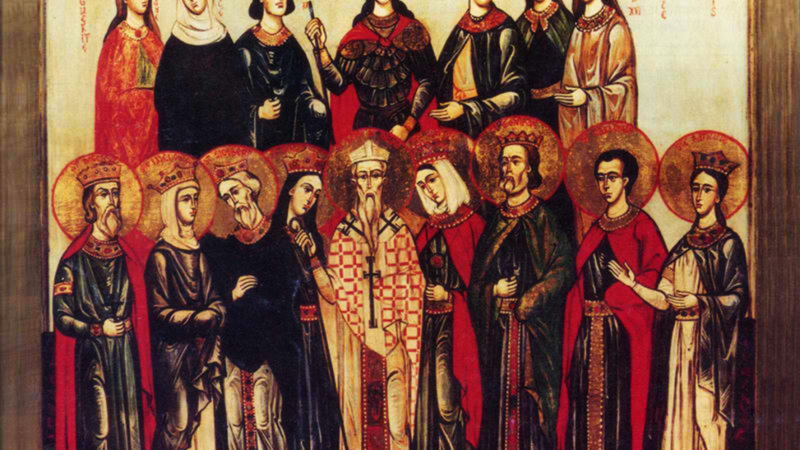 St. Aurea led the abbey for thirty-three years, before she and 160 nuns of her community reposed of the plague in 666. PETRONIUS, the son of a Prætorian Prefect, who converted to Christianity, and after returning from a pilgrimage to the Holy Land, was ordained to the priesthood. St. Petronius was consecrated eighth Bishop of Bologna in 431 and served that See until his repose in 450. As Bishop, St. Petronius built the Basilica di Santo Stefano. He is also patron saint of Bologna. QUINTIUS (QUENTIN), a devout Christian and courtier at the court of a Frankish king (possibly Sigebert of Austrasia). When he rebuffed the queen’s advances, explaining that his faith prohibited adultery, she had St. Quintius murdered at L’Indrois near Montresor, circa 570.